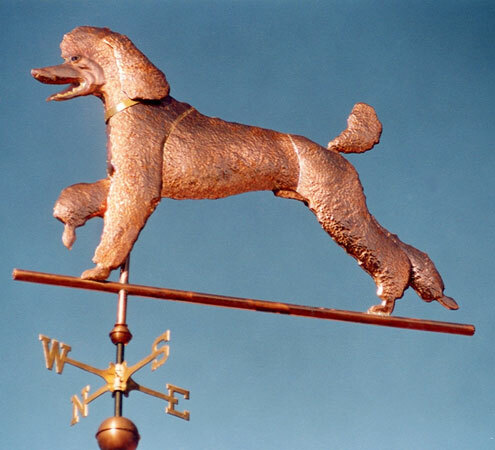 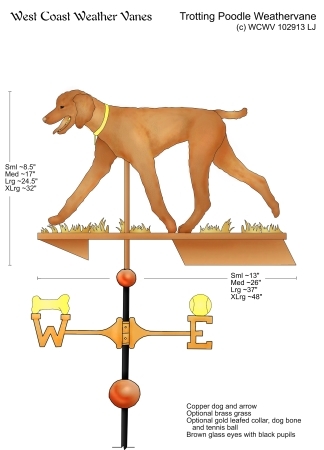 This active Poodle Trotting Weathervane was a special and touching commission by Claudia, our Website and Social Media Coordinator. 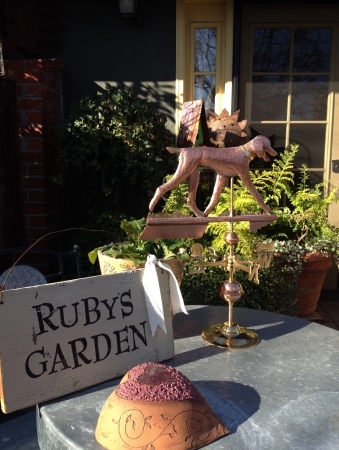 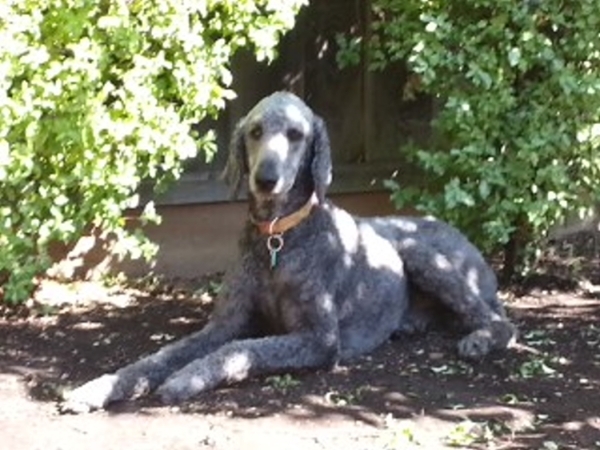 Ruby, the Standard Poodle and beloved companion of a dear friend, had passed away suddenly and Claudia wanted to do something special for her friend to honor Ruby and create a lasting tribute in her memory. 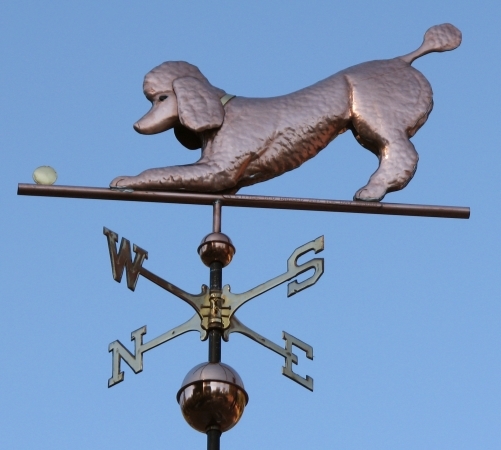 Using photos of Ruby we worked to create a design that reflected her friendly and energetic personality. 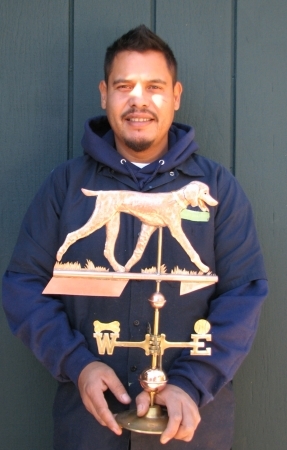 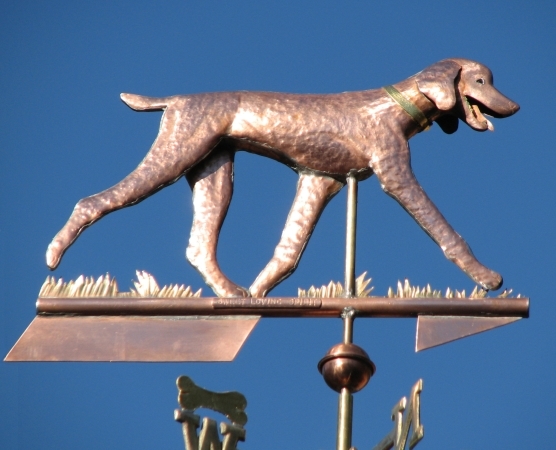 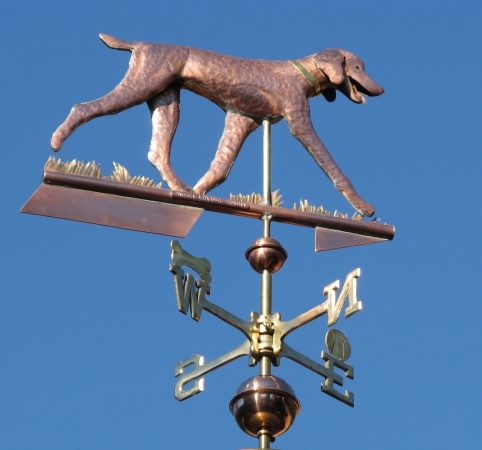 Rolando, one of our journeyman weathervane makers, really took this project to heart. 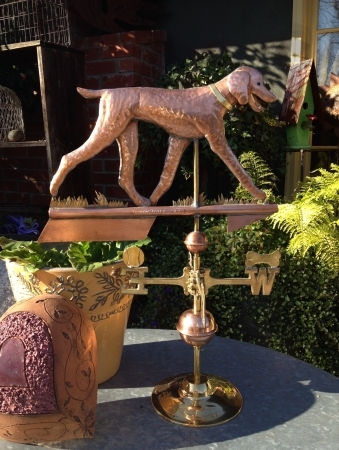 The result is a truly amazing portrait sculpture weather vane. 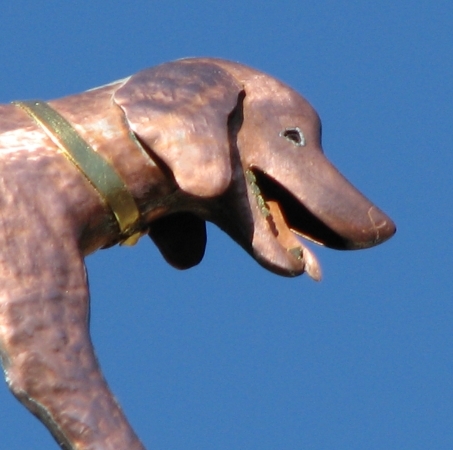 ‘Ruby’ is fabricated of copper, with glass eyes and an optional inscribed collar. 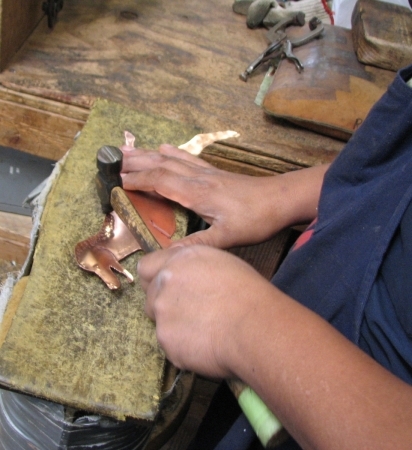 Another available option is a hanging tag in the shape of a bone or a heart, that can also have an inscription permanently hammered in. 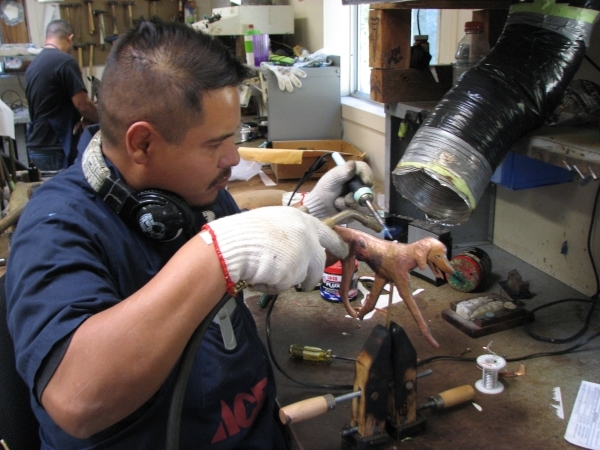 Projects like these are truly gratifying and make it a pleasure to come to work each day.